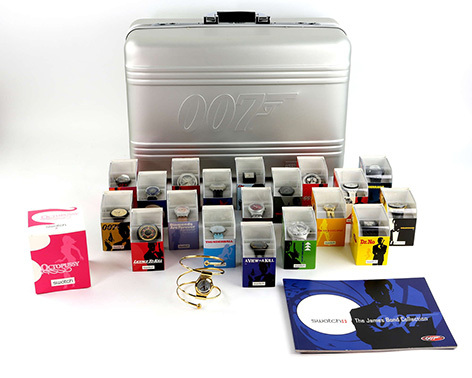 On February 7th 2019, Ewbank's auction house will offer James Bond props, toys, memorabilia and posters at their Bond & Beyond auction. The ‘Bond And Beyond’ auction begins at midday, and will be held at Ewbank’s Burnt Common auction rooms, just off the A3 near Guildford. More than 250 lots of from across the myriad films and books will be on sale at a range of price points to satisfy collectors of all levels. One of the most valuable pieces for sale is an Omega Seamaster Professional Planet Ocean 'James Bond Quantum of Solace 007' stainless steel gentleman's bracelet watch, ref. nr 222.30.46.20.01.001. With an estimate of between £2,000 and £4,000, the unworn watch comes boxed, with leather card holder, instructions, warranty, and certificate. 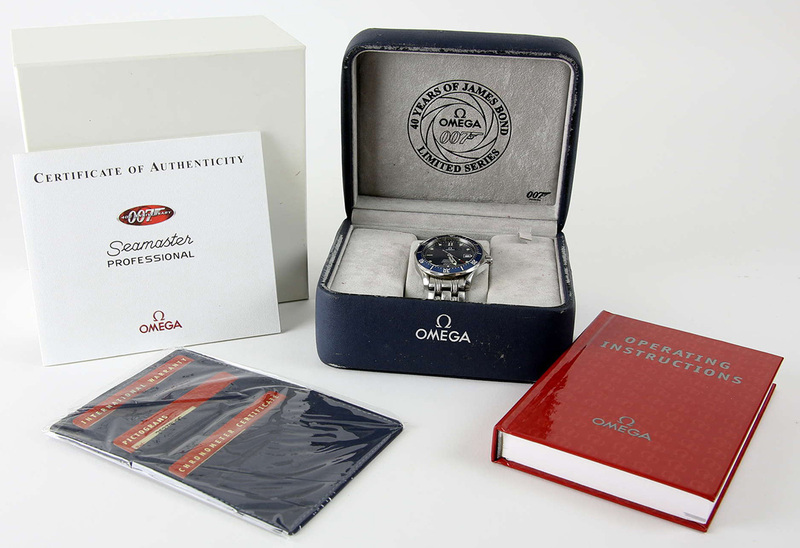 Another Omega, a Seamaster Professional Diver 2537.80.00 Wristwatch - 40 Years of James Bond Limited Edition from 2002, is expected to fetch between £1,000 - €1,800. THis Bond watch has a 007 monogrammed blue dial with date aperture, rotating bezel, inscribed '40 years of James Bond 04060/10'007', and comes in box with leather wallet, warranty card, pictograms, certificate & operating instructions. Another highlight is a collection of as-new 20 cased Swatch watches, celebrating Bond’s 40th anniversary, has a guide price of between £800 and £1,200. 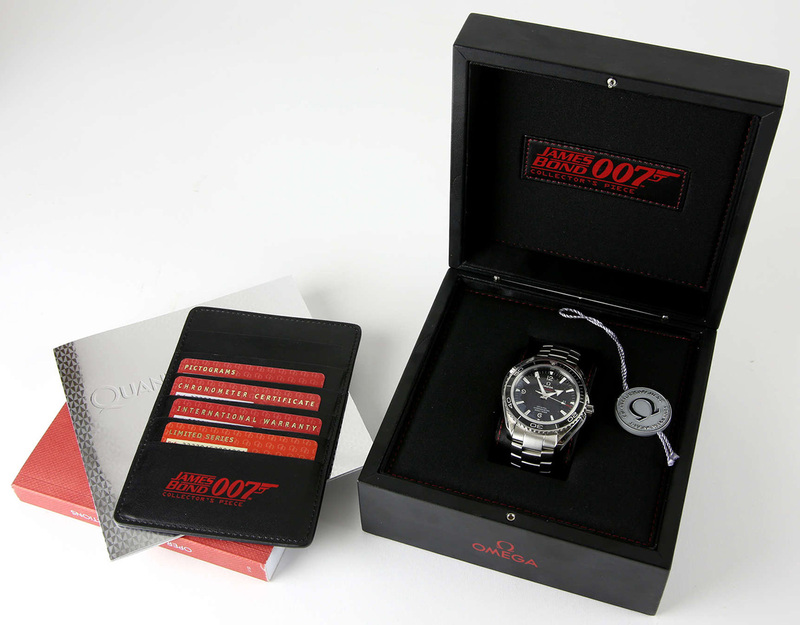 All come with carded sleeves, are in tins and collectively are in a metal Swatch 007 suitcase. Watches commemorating all 20 Bond films to that date, including Dr No, Thunderball, Live and Let Die, On Her Majesty's Secret Service, and The Spy Who Loved Me, are included. 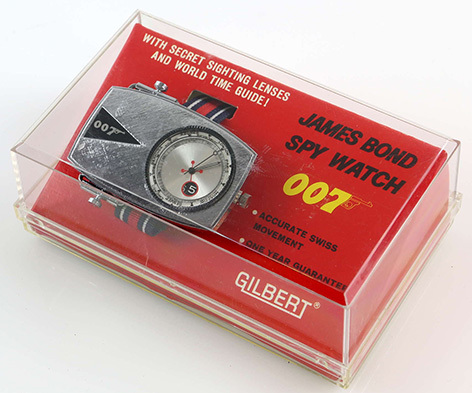 Not a real watch, but a coveted collectible is a 1966 Gilbert Spy Watch, with secret sighting lenses in hard plastic case, estimated at between £150 and £250. A real production used prop is this Walther P99 prop rubber stunt gun, made for use by Pierce Brosnan in the Stealth boat scenes in Tomorrow Never Dies (1997). 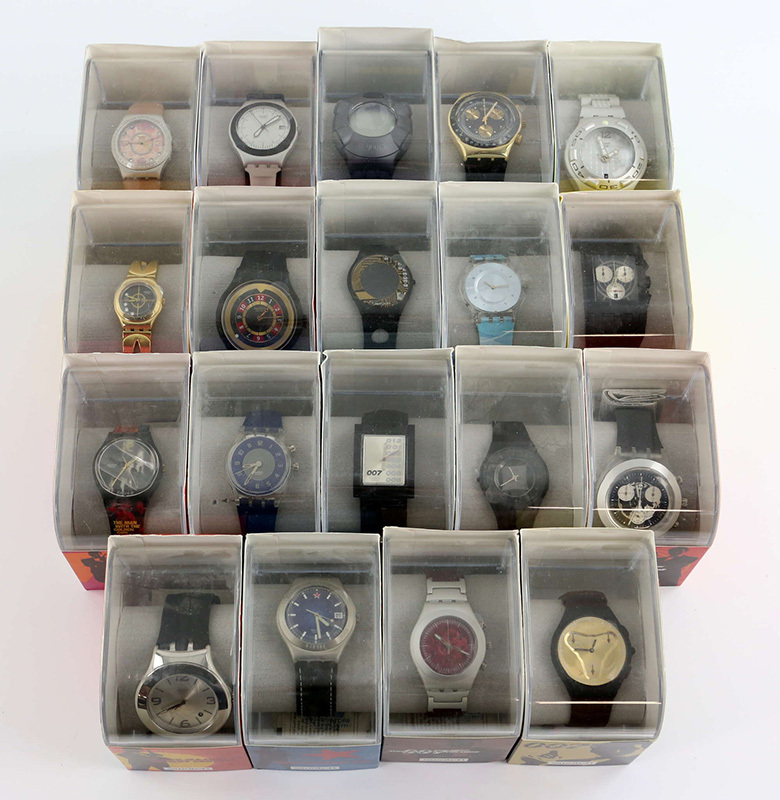 This item was Lot 61 in Christies 14th February 2001 auction. The gun comes with original sale tag attached. According to the vendor at the time, this gun is one of only five rubber stunt guns made for the stealth boat scenes in the film. 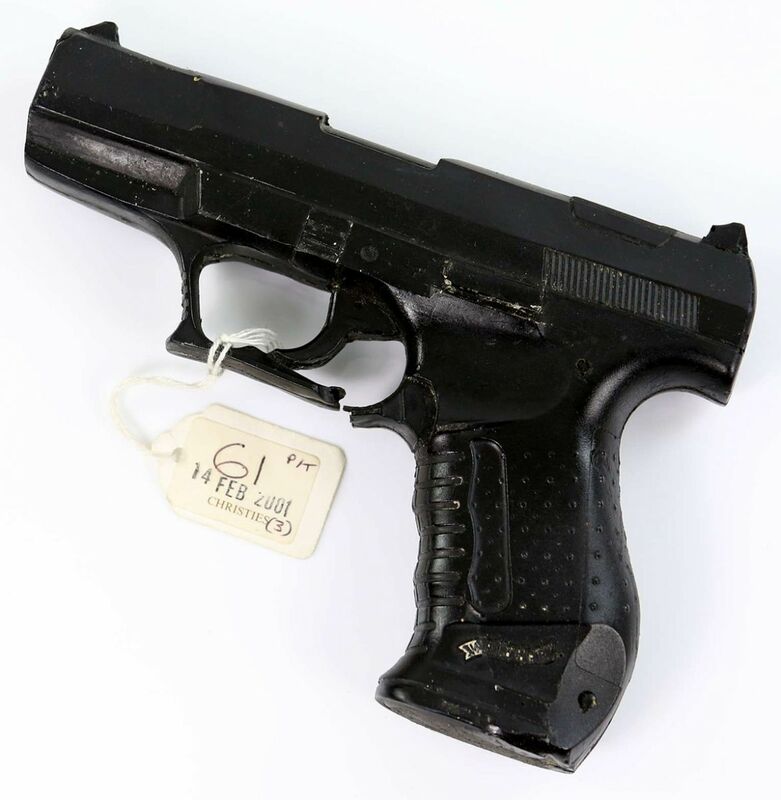 Having been associated with the Walther PPK since the first Bond film Dr. No, thirty-five years later, in Tomorrow Never Dies, Bond changes his gun for a new model, the Walther P99, given to him by Red Chinese agent, Wai Lin (Michelle Yeoh). Many posters advertising the Bond films are going under the hammer, plus a more unusual one, advertising Aston Martin, which has been consigned for sale by a family-owned dealership. 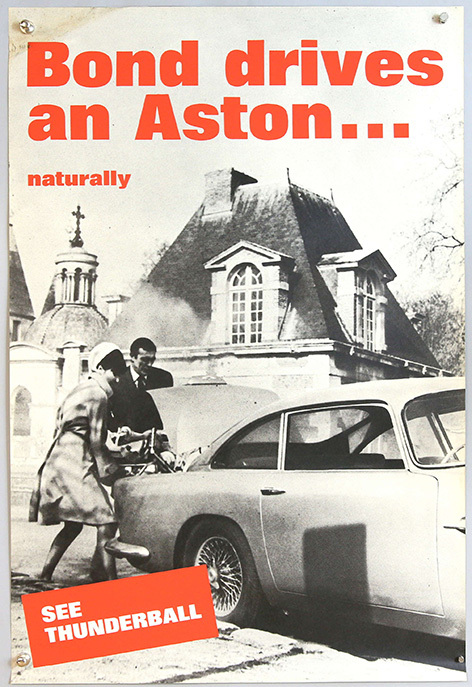 Bearing the tagline, 'Bond Drives an Aston...Naturally' the poster is taken from the 1965 release of Thunderball, starring Sean Connery, and has been valued at between £1,000 and £2,000. It has been in the family’s possession since its issue when it was given to them by Aston Martin. It comes with a signed letter of authenticity from the dealership will be supplied to the purchaser. 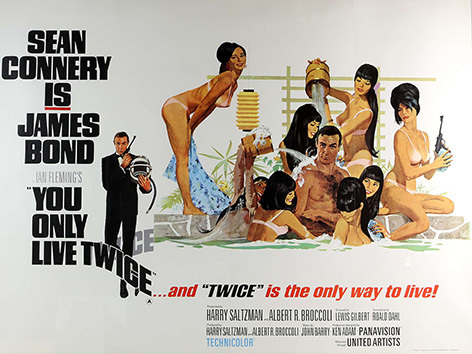 Another interesting poster is one advertising the 1967 film You Only Live Twice, which bears an illustration of the infamous bath tub scene. Estimate between £1,000 and £1,500. 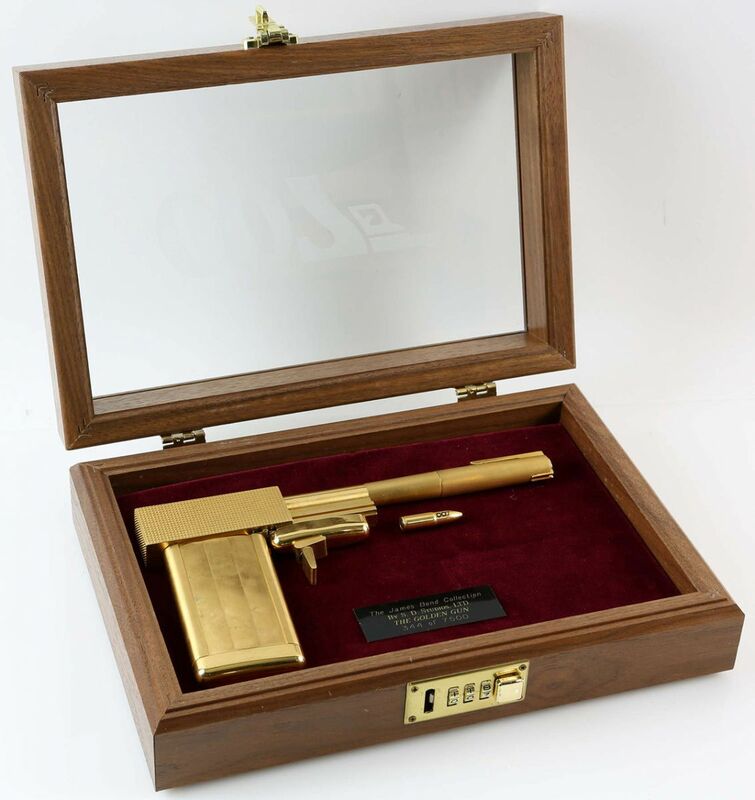 Among the many items of memorabilia and toys is a Lone Star Thunderball Harpoon Gun, with dart, boxed, valued at between £300 and £500. A 12-inch high Gilbert action figure of Sean Connery in Thunderball has a guide price between £150 and £250. 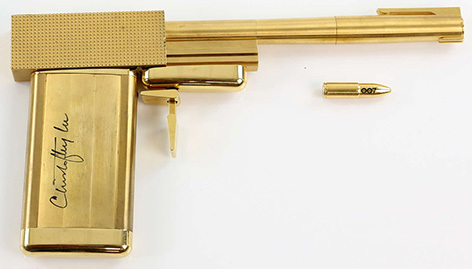 Two SD Studios Golden Gun replicas will be offered. These rare collectibles are highly sought after and one is expected to fetch £3,000 - £5,000, while another SD Studios gun personally signed by Christopher Lee might fetch £7,000 - £10,000. Other interesting items for lifestyle collectors are two pairs of S.T. 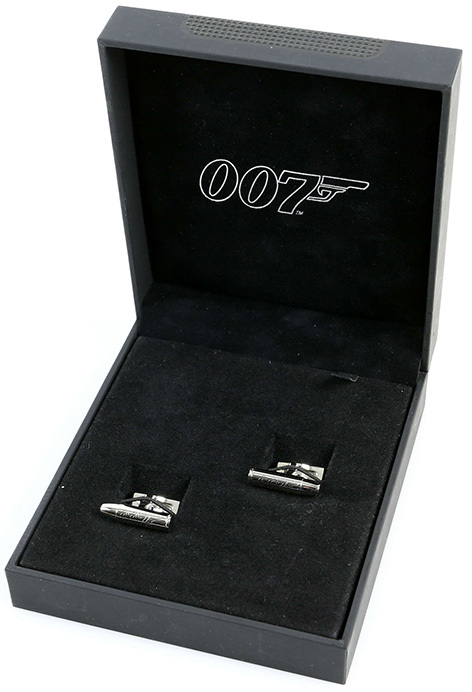 Dupont James Bond cufflinks, both expected to fetch £300 - £500. A pair of S.T. Dupont 5166 Bullet Cufflinks, each in the form of a bullet with engraved 007 logo, is quite rare and sough after, and some are offered on eBay for high prices. A pair of S.T. 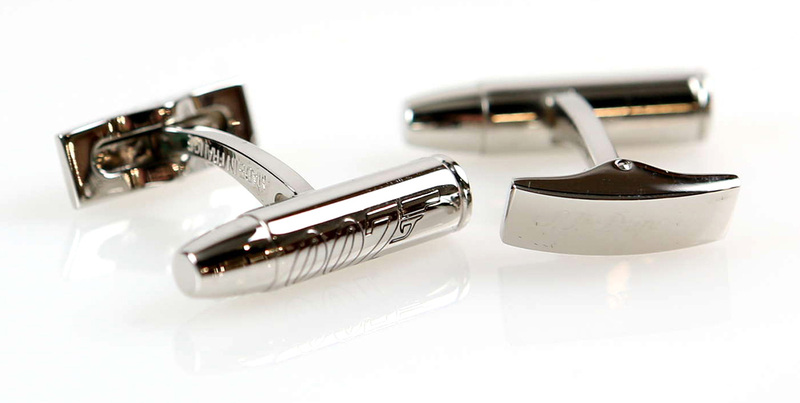 Dupont Ingot Cufflinks is coated with palladium metal finish with engraved 007 logo. The sides have red garnet stones. There are currently a few of these S.T. Dupont James Bond Ingot Cufflinks on eBay.